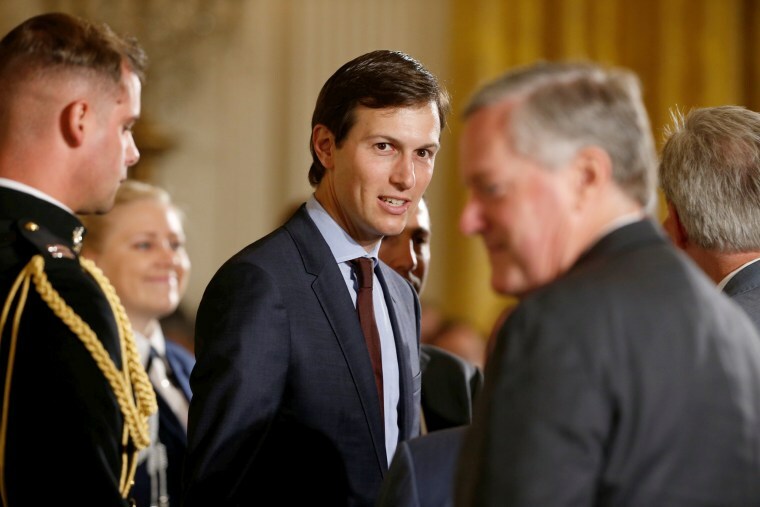 A very expensive piece of New York City real estate with an ominous address could be Exhibit A when and if President Donald Trump’s son-in-law and trusted adviser, Jared Kushner, appears before the Congressional committees probing Russian meddling in the presidential election. One of the questions Kushner is expected to be asked is whether he tried to set up a secret back channel way of communicating with the Russians so he could find somebody in Moscow to take the 41-story tower at 666 Fifth Ave. off his family's hands, two Congressional sources with direct knowledge of the investigation confirmed to NBC News. But Kushner and his family real estate firm took a bath when they bought the building back in January 2007 for what was then a record price for a Manhattan building — $1.8 billion. RELATED: Did Trump, Kushner, Sessions Have Undisclosed Meeting With Russian? Kushner Companies has been bleeding money ever since, according to numerous published reports. So far no date has been set for Kushner to appear before the Senate and House Intelligence committees. Part of the questioning will likely be about a bombshell May 26 report in the Washington Post that Kushner in December allegedly proposed to the Russians setting up a secret communications channel using secure diplomatic facilities. The White House has not explained why Kushner met in December with Sergey Gorkov — a close associate of Russian President Vladimir Putin and head of the Vnesheconombank, a bank that was hit with U.S. sanctions after Russia annexed Crimea. But Kushner’s contacts with the Russians came as his family’s real estate firm was already in talks with Anbang Insurance Group, a Chinese firm with murky ties to the country’s government, to invest $4 billion into 666 Fifth Ave. When Bloomberg News reported that a possible deal between Kushner and Anbang was in the works, the Chinese firm quickly put the kibosh on the story. “The information about Anbang investment in 666 Fifth Avenue is not correct, there is no investment from Anbang for this deal,” the company said in a statement. NBC News reached out to a Kushner Companies spokesperson and asked point blank whether the purpose of the alleged back channel to Moscow was to find investors for 666 Fifth Ave. A spokesman there declined to comment. The same question was posed twice to Kushner’s White House spokesman Joshua Raffel, a well-regarded former Hollywood publicist. He forwarded an earlier response from another White House flack, Hope Hicks, who said Kushner "was acting in his capacity as a transition official and had many similar discussions with foreign representatives after the election." "For example, he also started conversations with leaders from Saudi Arabia that led to the President's recent successful international trip," Hicks's statement read. Earlier, when it was first revealed that Kushner had been in contact with the Russians, Trump said he had "total confidence" in him and defended his son-in-law as a "very good person." National Security Adviser Gen. H.R. McMaster has told reporters he’s “not concerned” about reports Kushner was in contact with the Russians. Homeland Security Secretary John Kelly echoed that during an appearance on Meet the Press. "Just because you have a back channel, if indeed that's what Jared was after, doesn't mean that he then keeps everything secret," he said. Kushner is married to Trump’s daughter, Ivanka. 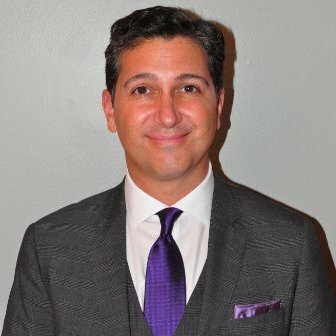 He is also the son of New Jersey-based real estate tycoon Charles Kushner, who served 14 months in a federal prison camp for making illegal campaign contributions — and for retaliating against his brother-in-law by hiring a prostitute to seduce him. When Charles Kushner was released, the family set its sights on Manhattan. Their first attempt at buying a marquee building at 1211 Sixth Avenue ended in failure. So in October 2006, they went after 666 Fifth Ave., which was owned at the time by the Tishman Speyer Properties. In the Book of Revelations and in popular culture, 666 is the "number of the beast." It was young Kushner himself who placed the call to Rob Speyer, the son of Tishman Speyer co-founder Jerry Speyer, according to New York Magazine. “This isn’t the way we do deals in New York,” an angry Scott Latham, the broker representing Tishman Speyer, reportedly said. The deal was saved, according to the magazine, when Kushner and Speyer had a quiet word in the hallway. Asked by email about the New York Magazine account, Latham wrote back, “There are multiple points in the story that are not true.” He did not respond to a call and second email from NBC News asking for specifics. Kushner, however, was clearly delighted by his purchase. Kushner Companies put $500 million of its own money into the purchase and took out a $1.2 billion mortgage and additional loans to cover the rest of the purchase. The company then moved its offices from Florham Park, New Jersey to the 15th floor of what was supposed to be their flagship building. In 2008, the markets melted down. With the recession dragging rents down, the Kushners were forced to sell off parts of the building to cover their debt and then renegotiate the deal to avoid foreclosure. Then in 2011, the Vornado real estate company bought 49.5 percent of the building’s office space for $80 million. But the building still wasn’t covering its operating costs. Meanwhile, the Kushners commissioned architect Zaha Hadid to design a new 1,400-foot tower to replace the building on the site. Then they began looking for investors to kick in $3.3 billion of the projected $7.5 billion it will cost to demolish the old building and replace it with a new building, the New York Times reported. Then in March, Bloomberg News reported Anbang was considering investing $4 billion in the tower — an apparent sweetheart deal that would have reduced the Kushners’ mortgage “to about a fifth of its current amount” and give them a $400 million payout. A company spokesman told Bloomberg that Kushner had sold his ownership stake in 666 Fifth Avenue to family members so the deal would pose no conflict of interest with his role as White House adviser. But Anbang is believed to be so intertwined with the Chinese government that former President Barack Obama declined to stay at the Waldorf Astoria New York, which Anbang owns, for fear of being bugged.